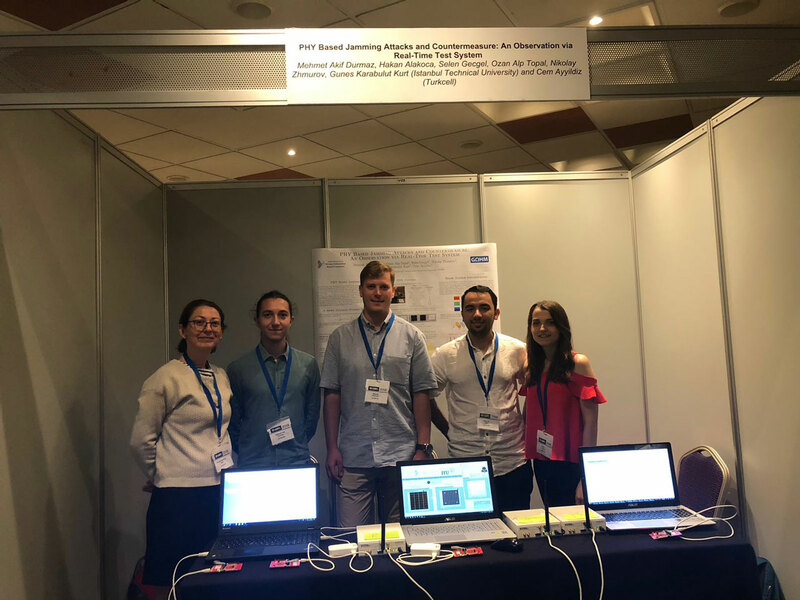 Mehmet Akif Durmaz, Hakan Alakoca, Selen Gecgel, Ozan Alp Topal, Nikolay Zhmurov, Gunes Karabulut Kurt (Istanbul Technical University) and Cem Ayyildiz (Turkcell) “PHY Based Jamming Attacks and Countermeasure: An Observation via Real-Time Test System” titled demo, were invited to SPAWC 2018 (25-28 Haziran) exhibition demo days. On the 26. 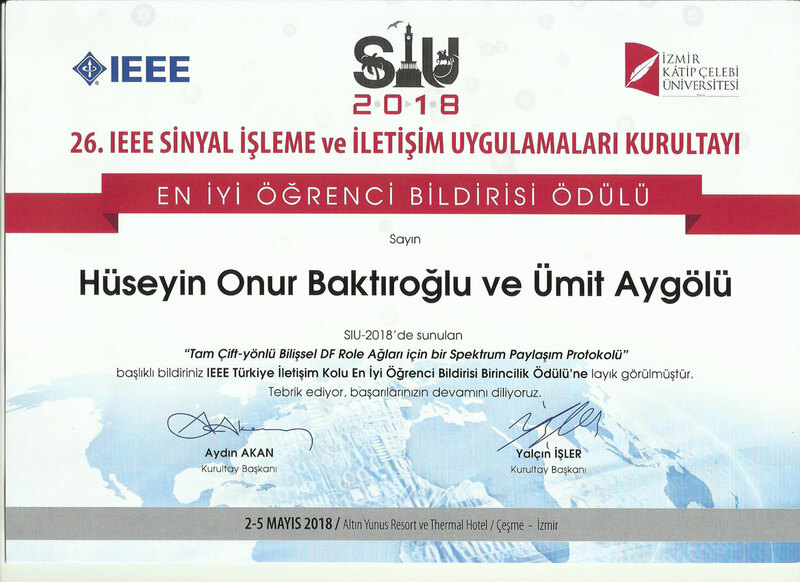 Signal Processing and Communications Applications Conference (SIU-2018), THAL member MSc Student Hüseyin Onur Baktıroğlu was announced among Best Student Paper Award-ComSoc Finalists. Our Member was awarded for Best Student Paper Award on ComSoc area during the conference on May 4th 2018. 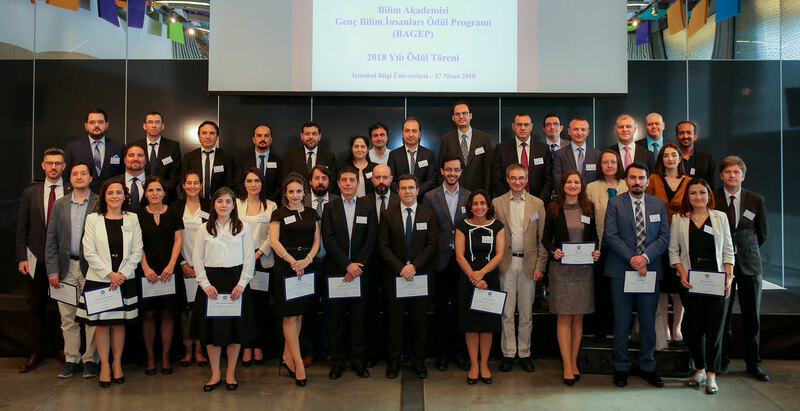 Science Academy BAGEP Awards was given to THAL Member. 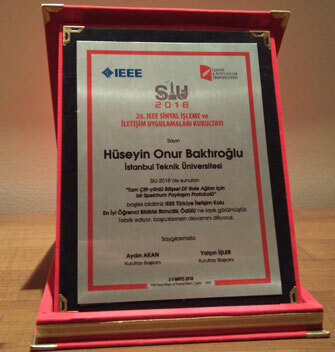 * Related ITU News (in Turkish, 6 April 2018): "Three Awards to Young Scients From BAGEP"
*IEEE Turkey Research Encouragement Awards, are given to post-doc scientists who obtained PhD in last ten years and residing in Turkey, with outstanding scientific research in one of the areas of IEEE. *"Winners of TÜBA GEBIP and TÜBA TESEP Awards Announced"
*"TÜBA GEBIP and TÜBA TESEP Awards Announced"
*"ITU ECE News About The AWARD"
WCRL group member Assoc.Prof. Güneş Karabulut Kurt, attended to 5G Summit in Thessaloniki, Greece as invited distinguished speaker. 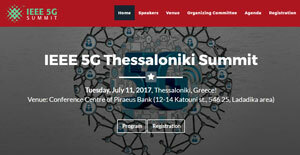 Please click to see related IEEE 5G Summit Greece Page here . 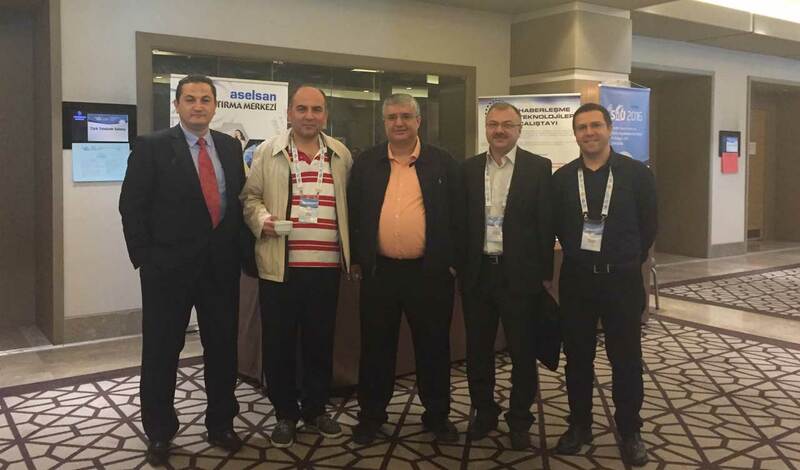 Please click to see related IEEE 5G Summit Greece Program here . 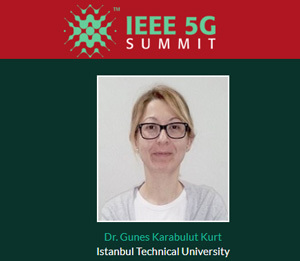 Please click to see related IEEE 5G Summit Greece Abstract and Biography of Speakers here . THAL Members Res.Assist. 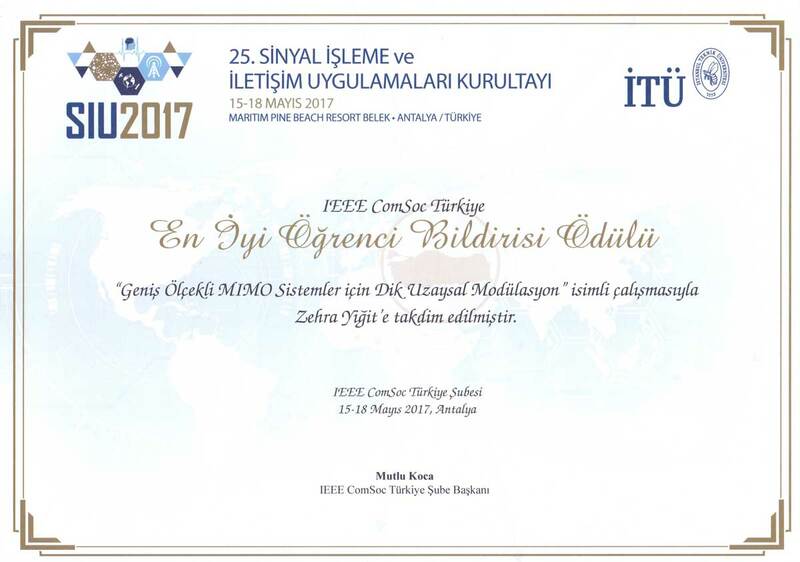 and MSc students Zehra Yiğit ve Ferhat Yarkın was announced as finalists in SIU-2017 ComSoc category with their papers given below. 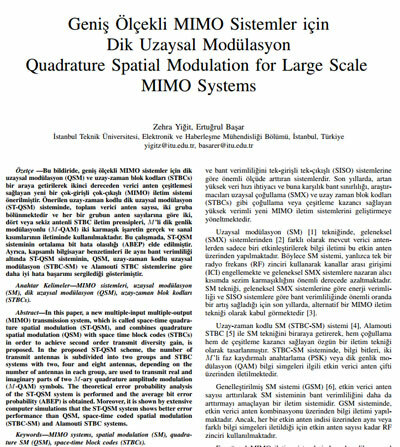 During SIU-2017 Conference, THAL member Zehra Yiğit was announced as winner with her paper titled as "Quadrature Spatial Modulation for Large Scale MIMO Systems". THAL Group Member Assoc.Prof. 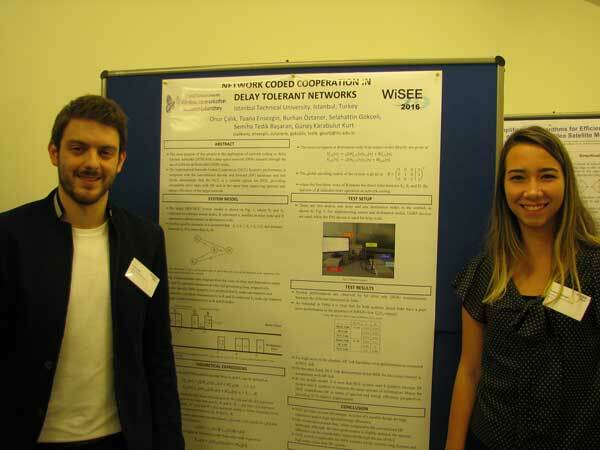 Güneş Karabulut Kurt and Telecommunication Engineeering Graduate Student Selahattin Gökçeli, were picked as Finalist for NI Engineering Impact Awards. Their application was selected among 130 candidates around the World for "2017 NI Engineering Impact Awards", RF and Mobile Communications category. 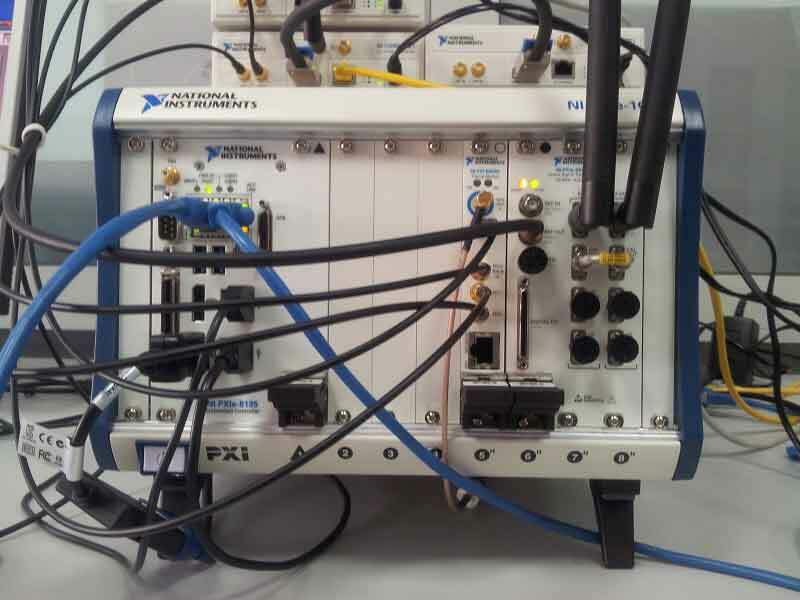 THAL research application for the AWARD titled as "Using NI Software Defined Radio Solutions as a Testbed of 5G Waveform Research" has been recognized by our technical panel of judges as one of the best submissions in RF and Mobile Communications category. 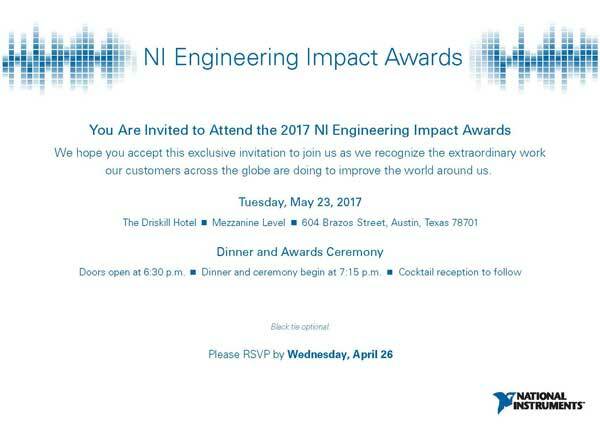 The big award winners and category finalists will be announced in NIWeek event on 23 May 2017 in Texas Austin. We congratulate our student and professor for the honour of this award. THAL group member Assoc.Prof. 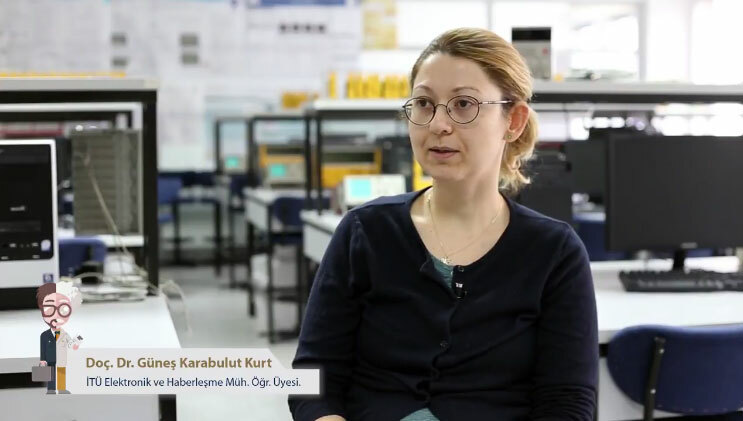 Güneş Karabulut Kurt, was reported in a video interview by ITU-Technology Transfer Office (ITUNOVA-TTO) on ITU homepage. 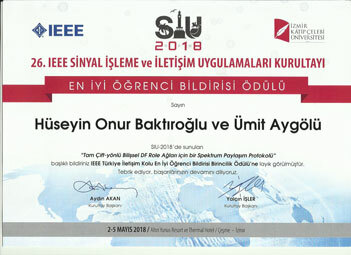 She reported about THAL group project supported by İTÜNOVA-TTO TURKCELL, titled as "Design and Development of Security System in Mobile Cellular Networks". Please click to see related ITU News (in Turkish) here . Please click to see related İTÜNOVA News (in Turkish) here . Please click to see related İTÜNOVA interview video on youtube here . 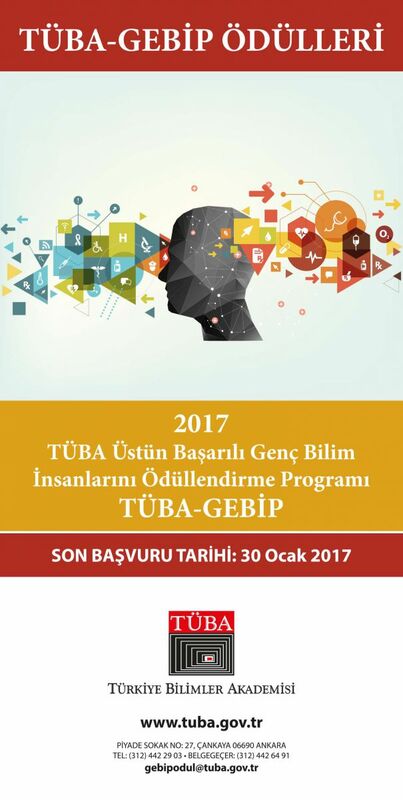 Please click to see related İTÜ-EHMB News here . 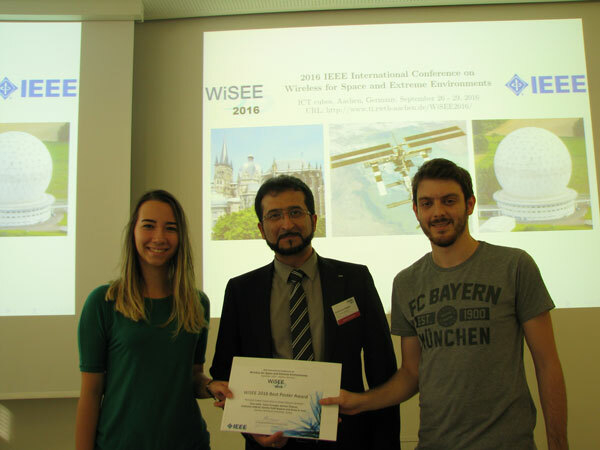 THAL Group Senior Undergraduate Students Tuana Ensezgin, Onur Çalık, Burhan Öztaner was awarded "Best Poster Award" with their paper: " Network Coded Cooperation in Delay Tolerant Network" on IEEE Int. Conf. 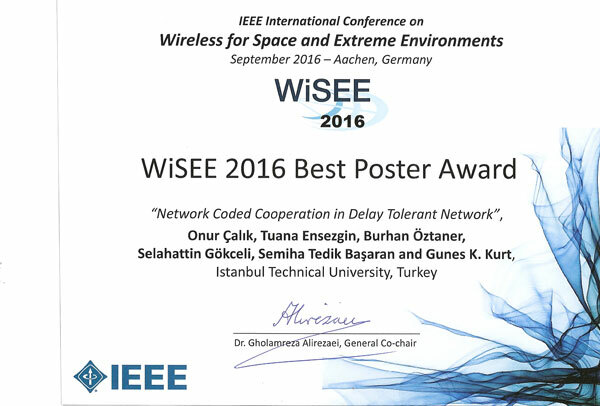 on Wireless for Space and Extreme Environments (WiSEE-2016), in Germany, Aachen, on 26-29 Sep 2016. Congratualtions to our students and advisors. * This joint paper was prepared with Selahattin Gökçeli (BSc), Semiha Tedik Başaran (MSc) ve Güneş Karabulut Kurt (PHd). Assist. 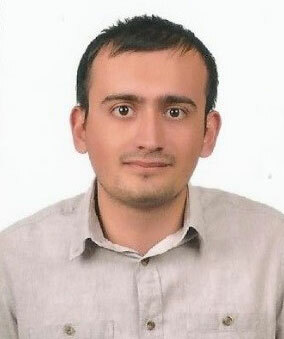 Prof. Ertuğrul Başar named as associate editors for two IEEE Journals. 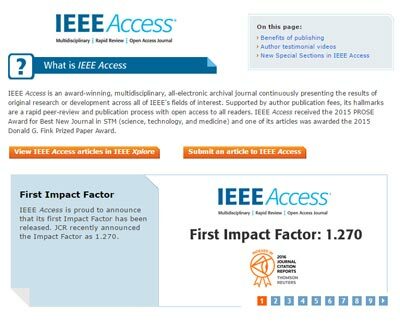 "IEEE Access® is a multidisciplinary, applications-oriented, all-electronic archival journal that continuously presents the results of original research or development across all of IEEE's fields of interest." 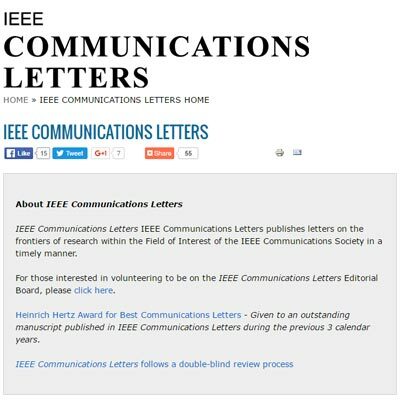 "IEEE Communications Letters publishes letters on the frontiers of research within the Field of Interest of the IEEE Communications Society in a timely manner." Associate Editors find peer reviewers for submitted papers, maintain communication with both the reviewers and authors, summarize the reviews and make recommendations based on the reviews to the lead editor for the final decision. Assist. 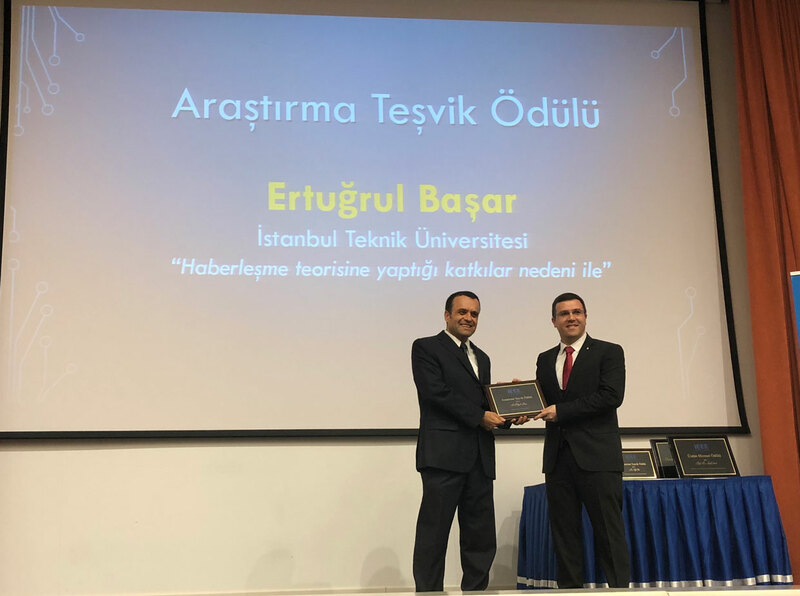 Prof. Ertuğrul Başar was awarded with his paper in ICC 2016. 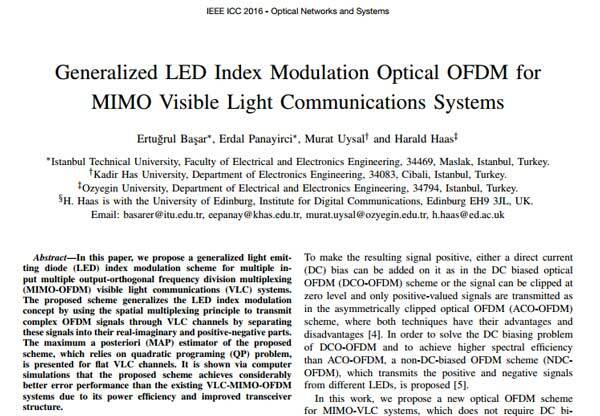 This paper was supported by "TÜBİTAK 2515 (ICT COST Action IC1101 OPTICWISE) 113E307 MIMO-OFDM Based Visible Light Communications (2013-2016)" project, where Dr. Başar is participating as a researcher. Wireless Communication Research Group Members attended 2016 - IEEE Signal Processing and Communications Applications Conference in Zonguldak, organized by Bulent Ecevit University. Yayınlar sayfamızda bildirilerimizin bir listesine ulaşabilir. THAL Group Members Graduate Student Selahattin Gökçeli, Research Assistant and PHd Student Semiha Tedik Başaran and Assoc. Prof. Güneş Karabulut Kurt's research based on NI LabWIEW software and PXI-USRP hardwaredonanımları was covered in NI 2016 Wireless Research Book 2016. Please click to see the related "OFDMA-Based Network Coded Cooperation Testbed: Implementation and Performance Results" NI document. 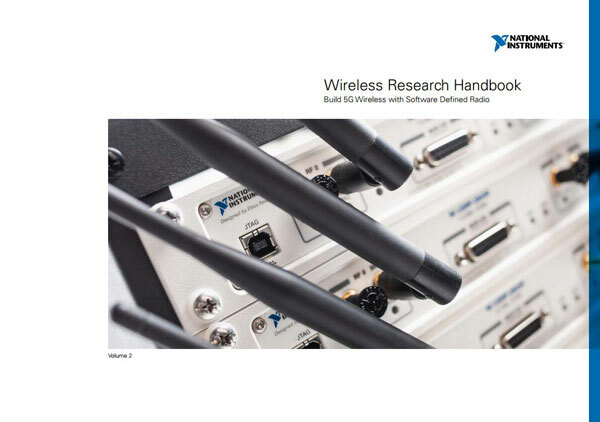 Please click to see the related "Wireless Research Handbook - Build 5G Wireless with Software Defined Radio" THAL pages in NI document. WCRL Group Member Assoc.Prof. Güneş Karabulut Kurt, gave a keynote talk at NIDays 2016, Graphical System Design Conference, Lebanon-Beirut. 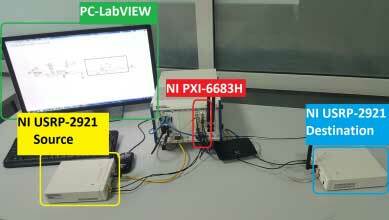 The title of the talk is "Network Coded Cooperation for 5G Systems".